Full of Christmas cheer, we’ll be looking to lift your spirits with our seasonal offering. Cover star Demba Ba is at the top of the Premier League goalscorers and hopefully he’ll be staying there, with Newcastle! 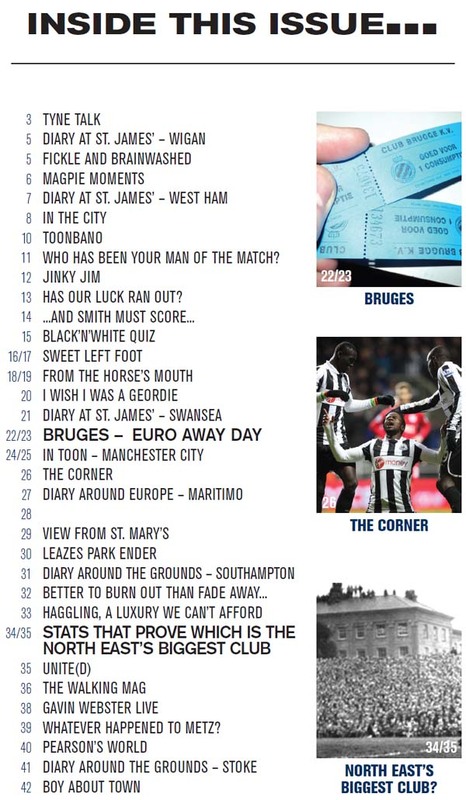 As well as the regular features, we have writers at every match, including an on the spot report on the Geordie invasion of Bruges. Looking forward, can NUFC use the Wigan match as a springboard to push forward again on the pitch, plus the January transfer window approaches.